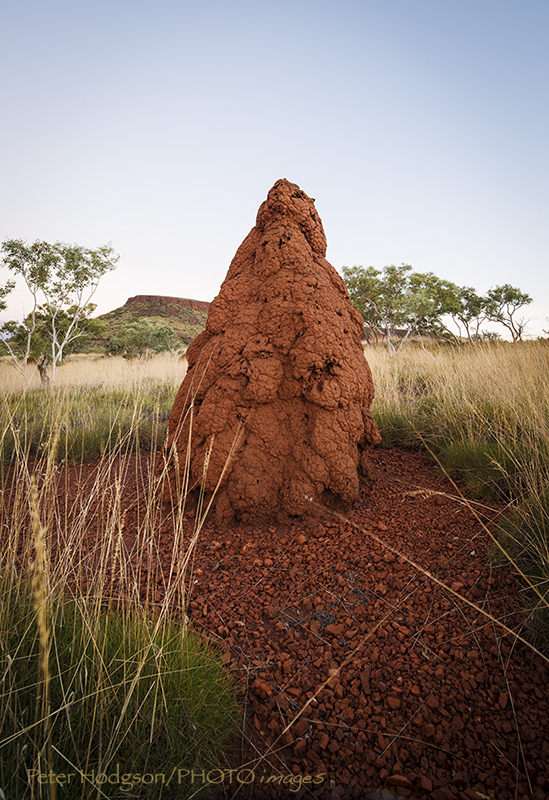 One of the stand out features in the Northern part of the Karajini National Park are the large termite mounds. They are an amazing structure and have some great textures in their make up apart from the fact that they provide a nice contrast in the surroundings. I would love to head back and shoot more of these beauties. Yep they are very cool eh Pete! There are heaps of them on the way to Onslo! They seem to be just in smallish areas all around Oz, even in the top end they seem to be concentrated to certain areas and the colour of the dirt they stand in really comes out, …. interesting.